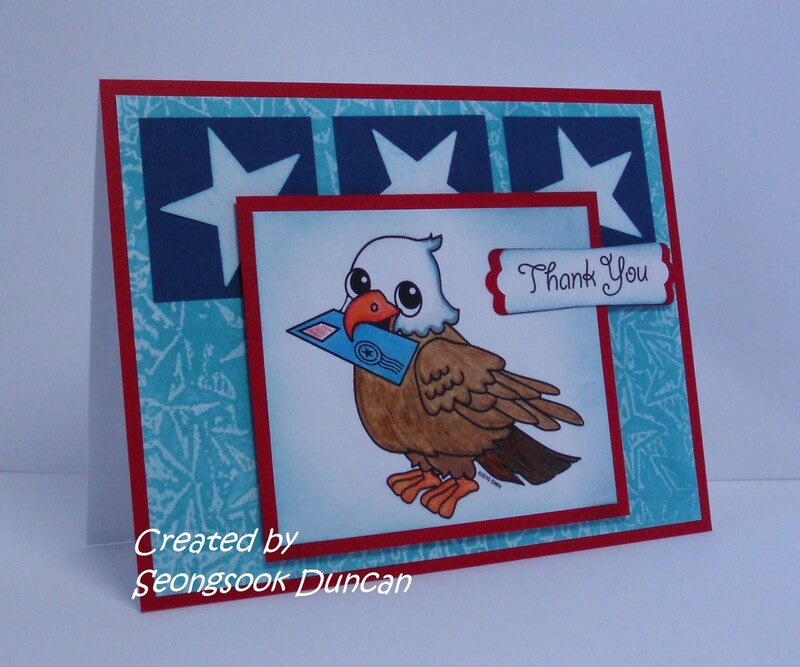 Create with Seongsook: Thank you - OWH S&S Sketch #18, OWH Digi "Eagle Letter"
Totally awesome card! All your hard works sure shines in this one! Wow, you are fast. I just now finished the hop. I love your card. Great job. Wow, you did great... combined the sketch challenge and used Sandy's new digi's... love your card, really beautiful!!! Wow, the first one to use one of my digis!!! You did a great job with it, Seongsook :) :) :) Thank you! Oh I like the background you made! You got great results from the waxed paper resist technique. Cute card! What a nice Patriotic blog heading! Thanks so much for your OWH cards for our Heroes. What a darling card. Your wax resist background turned out fabulous. I'm going to have to try that. Your card is great! Thanks for the comments on my page. 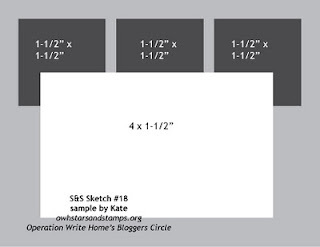 This was my first OWH blog hop and I absolutely loved it.